Please find a map with all the locations here. The organizing committee cordially invites all SIGCOMM 2009 attendees to the Welcome Reception at the Catalonia Plaza Hotel at 19:30 on Monday, August 17, 2009. 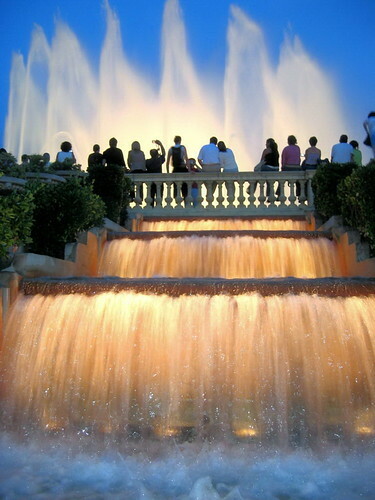 The Plaza Hotel provides great views of the Montjuc fountains (The Montjuc fountains sessions operate Thursday, Friday, Saturday and Sunday. Music Sessions: 21:00, 21:30, 22:00, 22:30, and 23:00.) 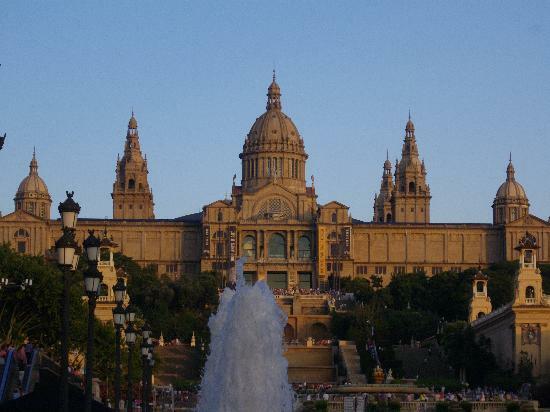 and the National Art Museum of Catalonia. 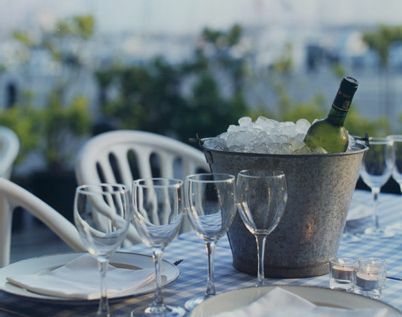 This opening social event will provide a chance to re-invigorate old friendships, and make new ones while enjoying hors d'oeuvres and drinks. During the reception, we will enjoy The Reactable, a revolutionary new electronic musical instrument designed to create and perform the music of today and tomorrow. The reactable is a collaborative electronic music instrument with a tabletop tangible multi-touch interface. Several simultaneous performers share complete control over the instrument by moving and rotating physical objects on a luminous round table surface. By moving and relating these objects, representing components of a classic modular synthesizer, users can create complex and dynamic sonic topologies, with generators, filters and modulators, in a kind of tangible modular synthesizer or graspable flow-controlled programming language. The Reactable has been created by the Music Technology Group at Universitat Pompeu Fabra, Catalonia. The registration desk will be open during the reception. 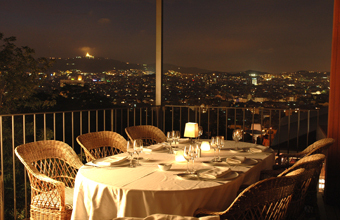 Our banquet will be held at the El xalet de Montjuic on top of the Montjuc mountain, with spectacular views over the city. The banquet occurs at 19:30 on Wednesday, August 19, 2009. Address: Av. 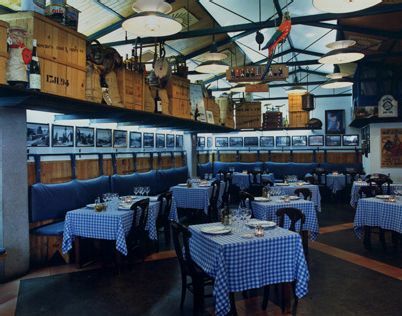 Miramar 31, Barcelona [map]. How to get there: Special bus service in front of the hotel or public transportation (see possible itineraries here). 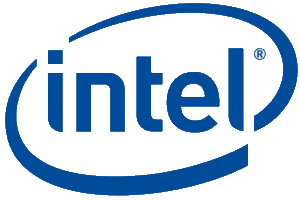 The traditional SIGCOMM Outrageous Opinions Session will also take place during this event. Please send mail to Keshav if you want to make a presentation during the outrageous opinions session. 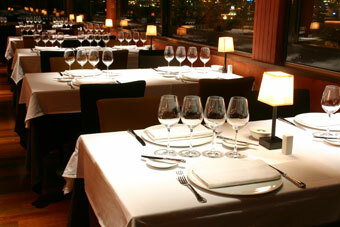 The student dinner is going to take place at the Restaurant el tinglado at 20:00 on Tuesday, August 18, 2009. 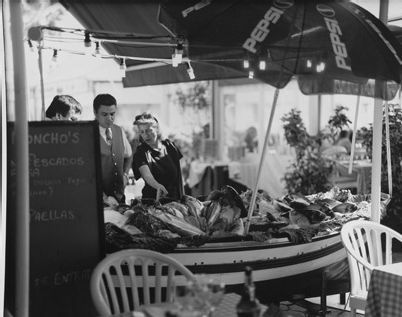 It is a comfortable fishermen's tavern, reminiscent of the old fish markets, with an attractive display of fish and seafood. 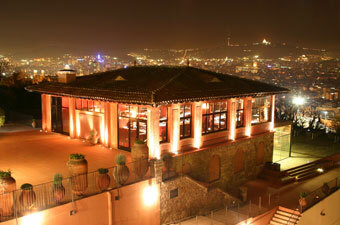 Address: Moll de Gregal 5, Barcelona [map]. 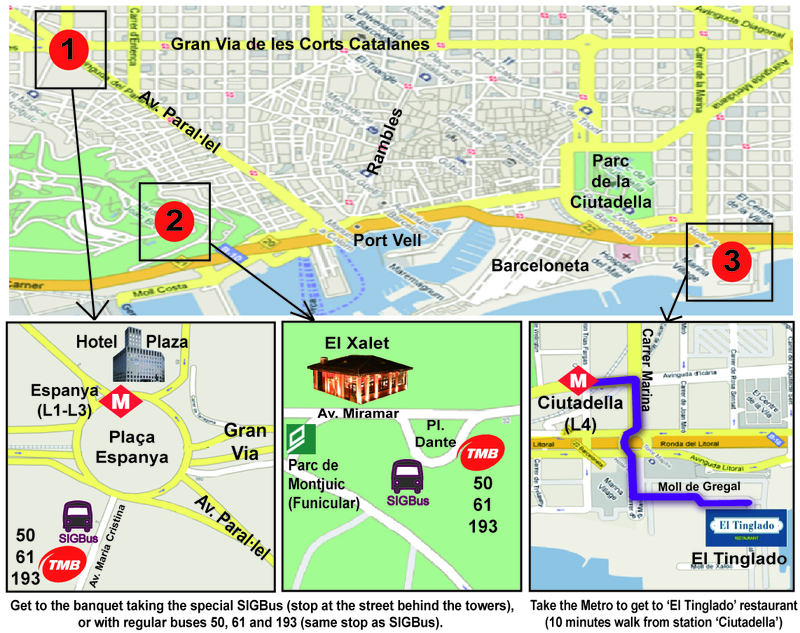 How to get there: The closest Metro station is Ciutadella-Vila Olimpica in line 4 [map]. Find possible itineraries from the SIGCOMM hotel in here.